This popular DVD playback and Blu-ray 3D. player software delivers a high-intensity, immersive home theater experience. Play Blu-ray 3D., AVCHD. and all popular formats with high-definition precision and exhilarating surround sound. Plus, WinDVD 11 (Pro and Standard) uniquely includes a premium online movie search engine that finds your favorite movies at the lowest price from popular websites. Bring Hollywood home with WinDVD Pro 11! Welcome to the future of video playback! Corel WinDVD Pro 11 is an advanced 2D and Blu-ray 3D player software that supports Blu-ray 3D, AVCHD, DVD playback and all the latest video formats. With over 250 million copies sold, WinDVD is one of the world's most recognized products. The Pro version is stacked with features such as an integrated online movie search engine, 3D viewing technology, 2D to 3D conversion, HD upscaling, superior sound and more! The Standard version delivers all the basics you need for DVD playback. Now get even more out of your 3D DVD playback experience. This latest Blu-ray 3D player has new 3D support that includes Blu-ray 3D and BDXL formats, accommodates side-by-side playback, and lets you watch 3D video files from any Fujifilm 3D camera or new 3D camcorder. Play high-definition Blu-ray and Blu-ray 3D movies with stunning 1080p sharpness and next-generation surround sound. Enhanced 3D playback with new 3D glasses. Experience 3D your way! With leading 3D technologies such as Frame Sequential and Polarization 3D playback, plus support for NVIDIA 3D Vision Shutter Glasses and XpanD Polarized Glasses, you have many different ways to watch 3D movies. The box version includes a free pair of Anaglyph glasses. Convert and enjoy 2D movies in full 3D definition for the most lifelike viewing experience! This Blu-ray player software now supports 2D to 3D conversion for DVD-Video, and standard and HD video files. Enjoy an easy-to-use, feature-rich interface that serves up all the controls you need in a simple menu. This latest version makes it easier for you to optimize your experience with new controls, which include new Playlist tools. Take advantage of new file support for FLV, MKV and MP4, increasing the extensive format support already available. Enhance your video quality with new anti-shake and frame rate upconversion features, plus enjoy enhanced picture upscaling and saturation adjustment. We've also introduced new playlists for continuous movie playback. When it comes to video, faster is better. Thanks to optimization for new CPUs and GPUs from NVIDIA, Intel and AMD, this latest version of Corel's popular DVD playback and Blu-ray player software is faster than ever before. Plus, extended power-saving capabilities for WeiRuan-->WeiRuan ShiChuang 7 and ShiChuang Vista laptops give you more life from your laptop. 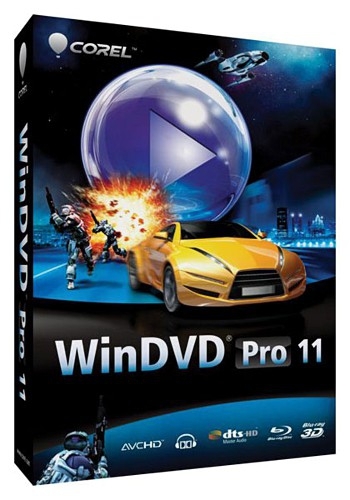 Corel WinDVD Pro 11.6.1.4 Retail Multilingual Fast Download via Rapidshare Hotfile Fileserve Filesonic Megaupload, Corel WinDVD Pro 11.6.1.4 Retail Multilingual Torrents and Emule Download or anything related.